NLM has been asked to publish the following announcement. The Treasure Valley Latin Mass Society was recently organized to seek the establishment of a regular Sunday Traditional Latin Mass according to the 1962 Missal whereby the faithful of southern Idaho could regularly meet their Sunday obligation. 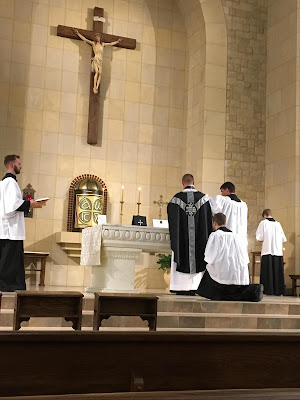 It is the intention of this society to indicate the existence of that "group of the faithful" (coetus fidelium) that Summorum Pontificum calls for, and thus, to give a voice to the faithful who are interested in the Extraordinary Form of the Mass. 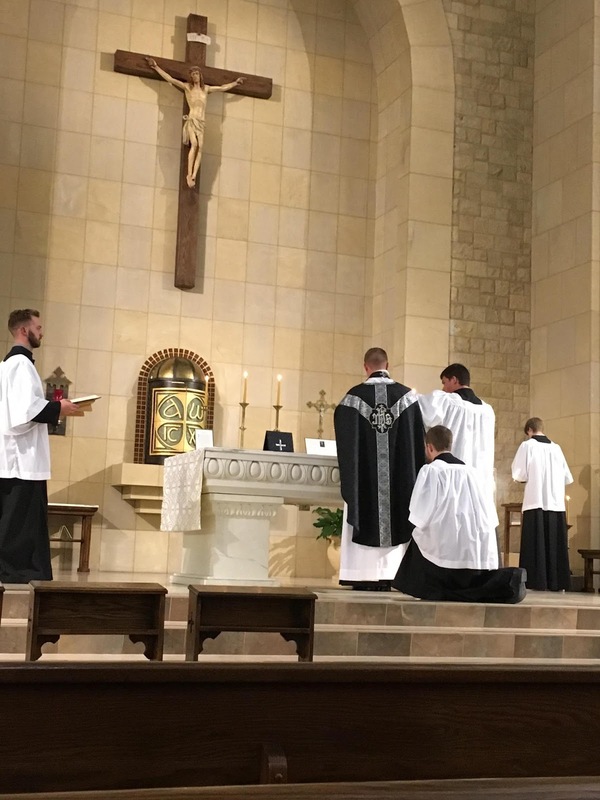 To make this voice more effective, the group wishes to be a recognized chapter of Una Voce America and a part of International Federation Una Voce. 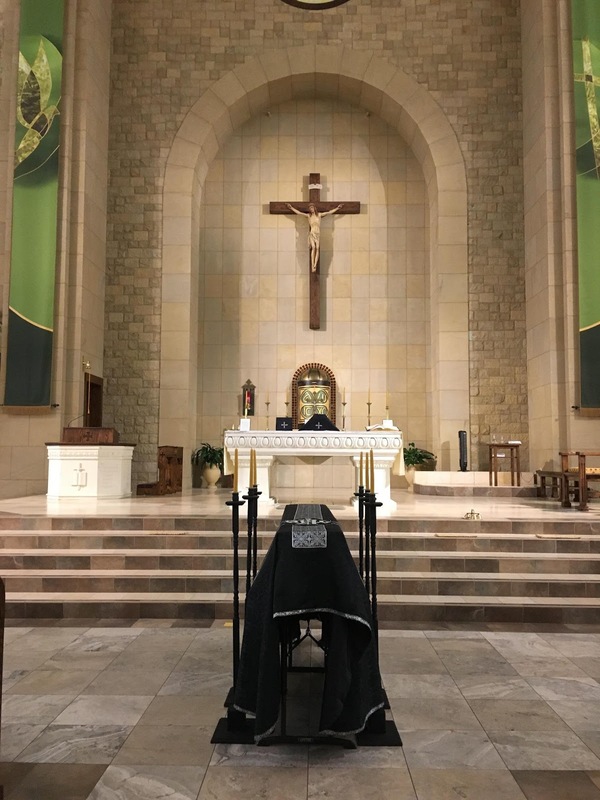 Together with the Blessed Margaret of Castello Chapter of the Dominican Third Order, arrangements were made for a Requiem Mass which was held for All Souls at St Paul’s, in Nampa, Idaho. 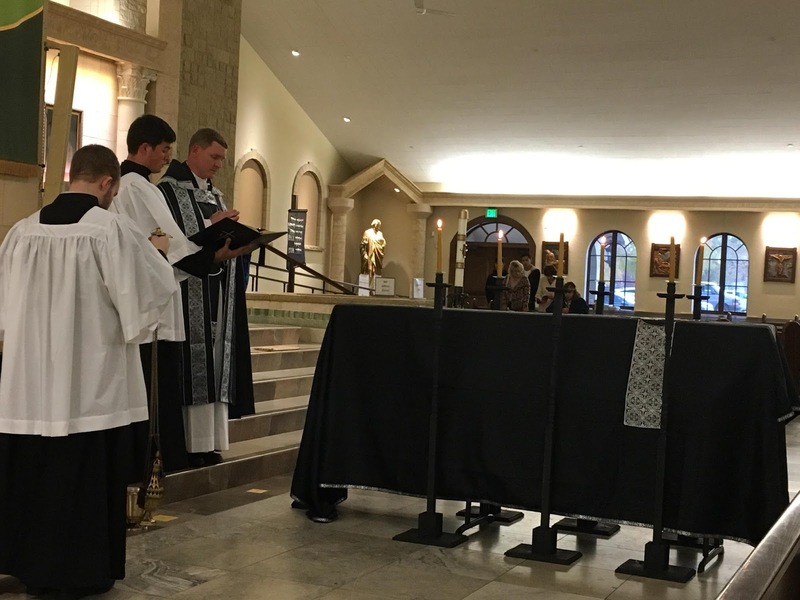 About 150 faithful assisted at this Requiem Mass, from all the valley parishes as well as from Spokane WA, Vale and Jordan Valley in Oregon, and Twin Falls and Hammett in Idaho. 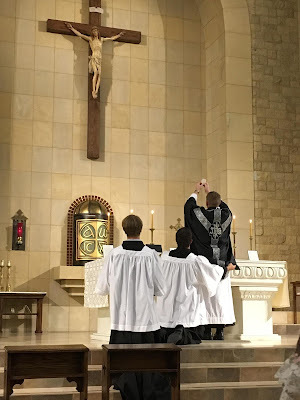 The Mass was exquisite, as was the chant. 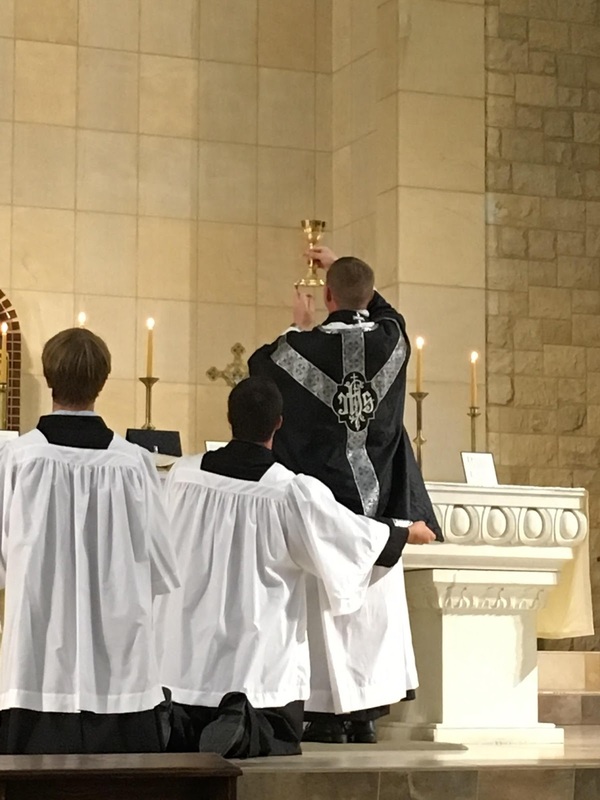 Many thanks to all who served at the altar as well as musicians and ushers. We are happy to share some photos below. If you live in southern Idaho and are interested in seeing established a weekly Mass in the Extraordinary Form, please visit our website and sign up. Ora pro nobis.